Two riverine command boats like this one were taken into custody by Iran, along with 10 U.S. sailors. Istanbul is a tourist center, and the attack took place at the very heart of a $30 billion dollar industry, says Joshua Landis, the director of the Center for Middle East Studies at the University of Oklahoma and the author of the blog Syria Comment. Landis says even though Turkey’s escalating involvement is good news for the United States, it could be debilitating for the country that straddles the West and the Middle East and has seen a wave of refugees crossing its borders and passing through the country on the way to Europe. ISIS also claimed responsibility for an attack in Jakarta this week that could signal a shift of attention away from the Middle East and western Europe toward Indonesia, the world’s largest Muslim country. 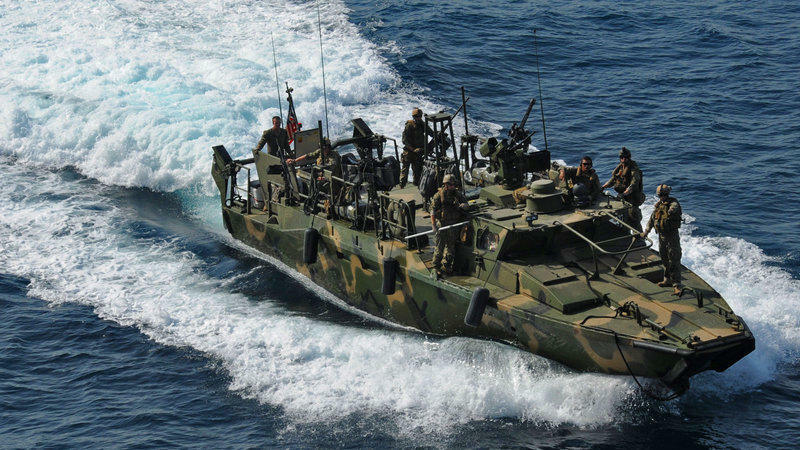 The U.S. also engaged in diplomatic talks this week with Iran after 10 U.S. sailors were taken prisoner off the coast of the Islamic Republic. President Obama received widespread criticism from Republicans for not mentioning the sailors in Tuesday’s State of the Union address, but less than 12 hours later the military members were released. Landis says it’s being viewed as a positive step for the U.S. relationship with Iran. But even as Iran continues to abide by provisions of last year’s nuclear agreement, Landis says the country won’t be easily pacified. At least 10 people are dead and more than a dozen wounded after an explosion struck a historic district in Istanbul on Tuesday morning. 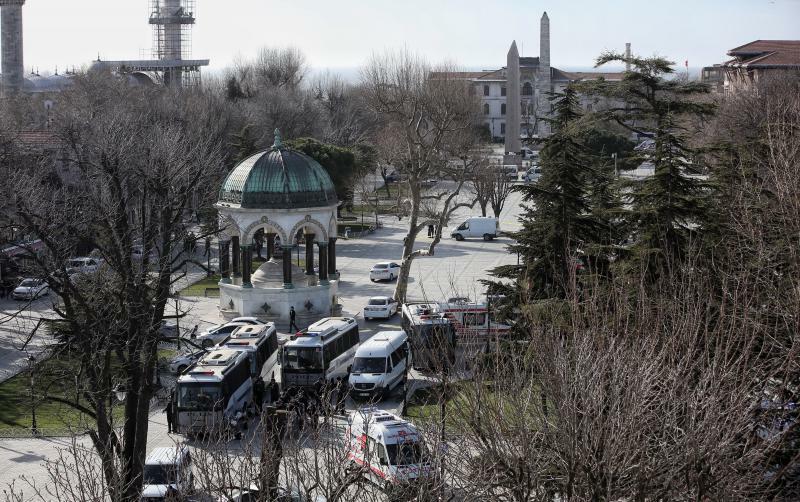 Civilians and tourists are among the victims from what officials say was a suicide blast in Sultanahmet Square, site of the famed Blue Mosque. After the blast, speculation immediately began to fly over who might be responsible. Many fingers pointed at ISIS because of the apparent target — a historic cultural area that's popular with tourists.